On February 14, 2018, a shooting at Marjory Stoneman Douglas High School killed 17 people. In the days following the shooting, the students from Stoneman Douglas HS inspired the country with their unwavering courage and activism as they attended meetings at the White House as well as organized the National March For Our Lives, attended by hundreds of thousands of people. 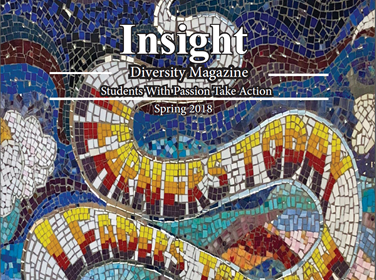 This issue of Insight explores how we as students take action. We hope that the articles serve as a call to action to both students and teachers at Bullis to stand up and speak out about the issues they believe are worth a fight. As always, thank you to the Bullis administrators for allowing us to elevate student voices and explore the injustices within our community. Thank you to Dr. Romeyn for her mentorship and guidance in creating this issue. Thank you to all of the Insight editors for their hard work and dedication, to the writers who were brave enough to share their stories, and to the readers who support this publication. Lastly, it is important to note that each article is written through the lens of one person, and does not necessarily represent the viewpoints or experiences of an entire community or of the Insight Staff. Thank you to the entire Bullis community for their support and encouragement! If you are interested in getting involved with Insight or have any feedback, please contact us Insight@Bullis.org. View the full issue of Insight here.